All proceeds from the sales will be used to benefit the Catholic Charities Homes for Healing: Evergreen House (for women recovering from addiction), Interfaith Shelter for Homeless Families, and Lourdeshouse Maternity Home. Volunteers are needed to make quarts of soup for the sales. Any and all kinds of soup are welcome! We will provide you with as many quart containers as you would like. Make whatever soup you choose. 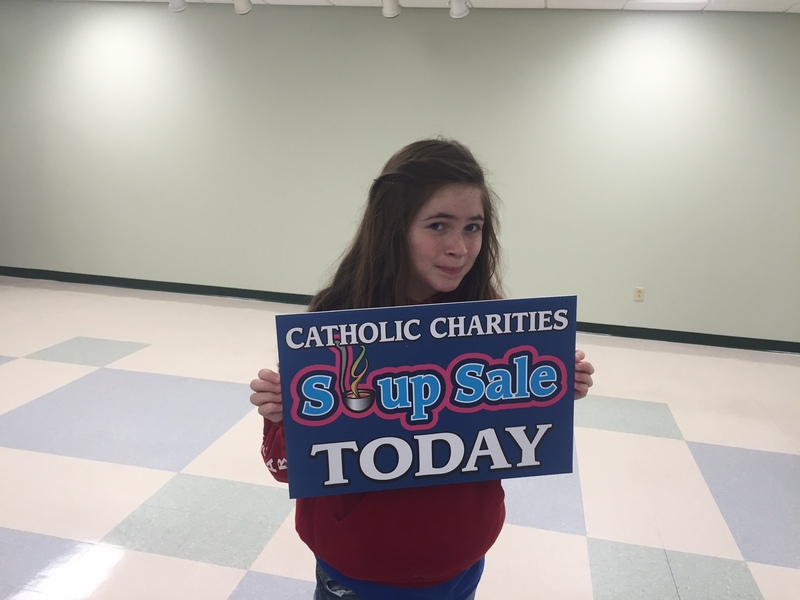 Soup will be collected at the Diocesan Center (4800 Union Deposit Road in Harrisburg) on Saturday, February 2nd between 9:00 a.m. and noon. During the collection, volunteers will be on hand to divide the soup between each of the nine parishes. Volunteers are needed to make soup for the sales! We can supply you with one-quart containers. You can make whatever soup you’d like, as many quarts as you’d like. If you would like to help make soup for this important project, please follow the link below to register online. Thanks in advance for supporting the soup sale!